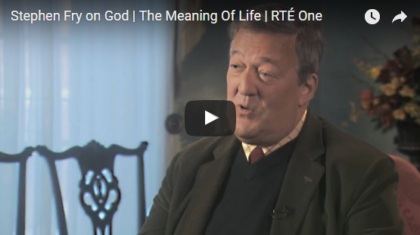 Stephen Fry blasphemy probe in Ireland is dropped – may lead to abolition of New Zealand’s law! Even as the world responded to news that Stephen Fry was being investigated for “blasphemy” in Ireland yesterday, the Gardaí (Irish police) decided to drop the probe because they couldn’t find a large enough group of people outraged by the comments. 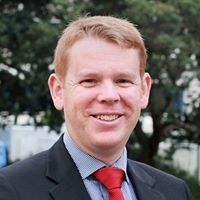 Meanwhile, the coverage apparently alerted senior officials in New Zealand to the existence of their own “blasphemy” law, and the prime minister then pledged to abolish it! 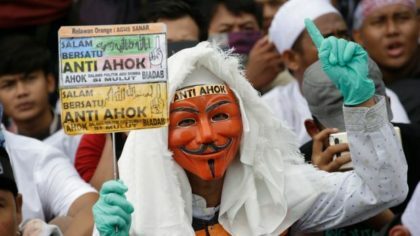 The outgoing governor of Jakarta, Basuki Tjahaja Purnama, usually known as ‘Ahok’, has been sentenced to two years in jail for criminal “blasphemy”. The governor of the capital city of Indonesia, world’s most populous Muslim country, had previously been highly popular. But he was due to stand down later in 2017 after having lost the governorship election last month, following a vicious campaign against him for alleged “blasphemy”. A police investigation has been announced into an interview segment on RTÉ, the public service broadcaster of the Republic of Ireland, which featured the British comedian and actor Stephen Fry. Ireland passed a new “blasphemy” law in 2009, making it the only developed country to have introduced “blasphemy” as a criminal offence in the twenty-first century.